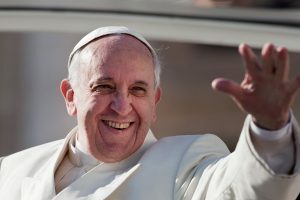 Take an exciting trip to Ireland and accompany Pope Francis to the World Day of Families to be held in Dublin in August 2018. 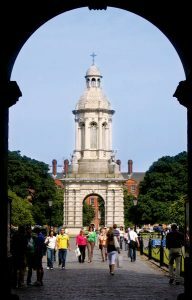 On this journey you will discover the cosmopolitan and welcoming city of Dublin and you will fall in love with the most charming spots of the Southwest. On your road map you can expect movie landscapes, historical trails, wild nature and picturesque villages full of tradition. Book now: What are you waiting for? After breakfast, it is time to take the rental car to f Cork, a rich pastureland in the south of Ireland. We recommend a stop in Cashel, to visit its famous and magnificent castle “The Rock of Cashel”, an ancient fortress of throne of the Kings of Ireland dating from the XII and XIII centuries, before the arrival of the Normans. The castle stands majestically on a hill and represents one of the best Celtic and medieval architectural examples. It is also said that it was here that the King of Munster was converted to Christianity by St. Patrick in the 5th century. 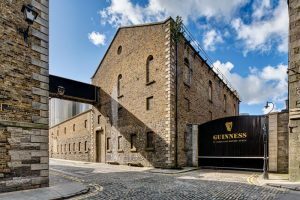 Before arriving at the hotel, you may have time to visit the old Midleton Distillery where you can learn how to make famous Irish whiskey. Accommodation. After the first contact with the lands of southwest Ireland, a day full of surprises awaits you. Depart in your rental car to one of the most beautiful and at the same time inhospitable regions of Ireland. One of the must-see stops along the way will be Kinsale, known as the “Food Capital” of Ireland, with one of the largest concentrations of restaurants in Ireland. Without a doubt, it is a great place to taste typical local dishes. The next recommended stop along the way is at Glengariff, from where we recommend you take a boat to the island of Garnish to visit its beautiful multicolored gardens. Along the way, you will discover the charm of coastal towns and villages. On the way the road will lead you through the Healy Pass, on the Caha Mountain (a natural border between Cork and County Kerry). Accommodation. After breakfast, an adventure awaits you with with beautiful views you can enjoy from the comfort of your car. We recommend you discover one of the most enchanting districts, the Ring of Kerry, a 170-kilometer journey through scenic landscapes, historical trails, wild vegetation, picturesque villages and coastal towns. Enjoy the road and its colorful scenes. Take your time to drive along the waterfront until you reach the Iveragh Peninsula, passing by charming towns like Killorglin, Cahirciveen, Waterville and Sneem. Accommodation in guest house. The tenth day starts, once you have gotten your strength from a good breakfast, in the county of Kerry. This time, our suggestion is to travel to Dunquin, at the westernmost tip of the Dingle Peninsula, where the Blasket Visitor Center (Great Blasket Centre) is located, which invites you to get to know the inhabitants of the Blasket Islands, and how they managed to survive on the land and sea. If you have time, be sure to visit Tralee, the main town of County Kerry. Accommodation. 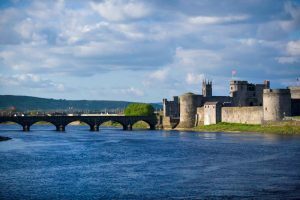 After breakfast, take the rental car to the medieval city of Limerick, the third largest city in the Republic of Ireland, located in a wonderful location on the banks of the picturesque River Shannon. Conquered by the Vikings in the 9th century, this modern and lively city boasts an important medieval past. Enjoy a relaxing day strolling its streets in which you can soak up its history and culture. Accommodation. 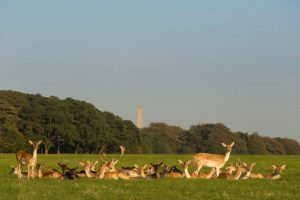 On your penultimate day on the island, you still have time to be surprised by the treasures that the city of Limerick hides. Today we suggest you discover the Hunt Museum, which preserves art and antiques with pieces from the Neolithic and Bronze Ages. It also includes medieval artefacts that invite you to take a trip back in time. After eating, you can get back on the road, this time, on the way to Dublin to rest on your last night before leaving. Day 13 (Day 2 of September): City of origin – Spain SAFE HOME! Last day in Ireland. It is time to close the suitcase, full of memories and gifts and undertake the journey home. Take your rental car and head to the airport. The road is surely different, after several days of green landscapes, impressive castles and wonderful coasts. Return the car and embark on the flight that will take you home. The island of Garnish is one of those magical places that by their microclimate and peat surface have made an exotic botanical garden in Ireland possible. The only way to get there is by boat, from the town of Glengarrif. Once there, let your senses be wowed with the wonderful scent of vegetation. In the gardens next to the so-called Italian house, overlooking a beautiful lake in which the surrounding mountains are reflected, you can find all kinds of local species united exotic ones from, for example, Japan and other overseas regions. Do not miss the bonsai which is more than 300 years old! In addition to the beauty of the gardens, you can stroll around the island to the highest point, The Martello Tower, with incredible views over Bantry Bay. The wonderful aroma of the island will remain impregnated in your memory and you will carry it with you forever. 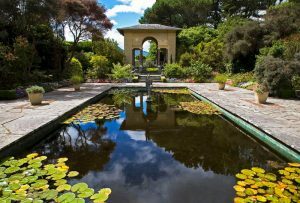 Gardens open from March to October. If you are travelling with a family, it is a great option that will delight the little ones. They will have fun learning all about plants and they can let their imagination fly among the enchanted forests. Situated in County Kerry is Killarney National Park, which is very close to the town of the same name. Confluent lakes, beautiful waterfalls, a castle from the Middle Ages, natural forests and wild animals. 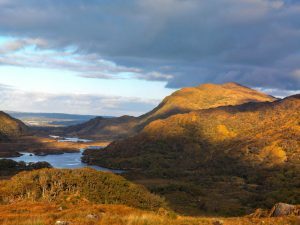 The extensive Killarney National Park has all the ingredients to satisfy any visitor. That is why it is one of the destinations with the highest influx of tourists in summer. Inside the park, three stunning lakes – Leane Lough, Muchross lake and Upper Lake – converge at Meeting of the Waters, a unique and awe-inspiring place. For lovers of nature and hiking, touring this park will be an unforgettable experience. South of the lakes, you can find huge natural forests. Do not be surprised if you walk through them and you come across wild animals like deer, goats or birds of all kinds. The park is also home to one of the most beautiful castles in Ireland, Ross Castle on the banks of Muckross Lake, dating from the Middle Ages. And, finally, you can not miss the Torc waterfall, which descends from the mountain of the same name and whose beauty will leave you speechless. Walking the park can take several days. Ross Castle can be visited. Duration of the visit: 1 hour. Taking photographs inside is not permitted at Ross Castle. You can rent a bicycle in Killarney to tour the park in a more efficient way. There are quite a fewplaces in the city to rent bikes and the average price is about 5-7 euros. The River Shannon runs through 11 counties, including the beautiful city of Limerick. We we recommend a not-so-usual way to disover the medieval wonders of this historic city. For those looking for a different way of touring and prefer adventure activities, the River Shannon offers an exciting activity: What better way to navigate the river than aboard a kayak? 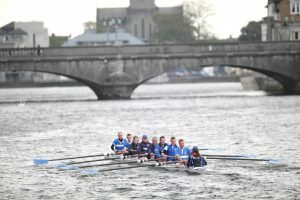 Go to one of the water sports centres you will find in Limerick. 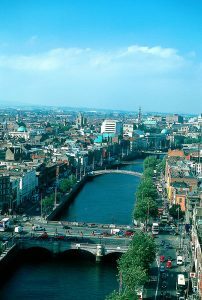 There you will be offered routes to navigate the heart of the city under the oldest and most famous bridges. A different perspective is to discover the famous King John Castle or the monumental ‘Treaty Stone’ on which was signed a historic peace treaty, among other historic áreas that will inform you about 800 years of dynastic battles. In the sports centre you will be provided with all necessary information so that you can recognize the points of interest. Get ready for a unique adventure! King’s John Castle is a spectacular fortress that has remained in good repair despite the city’s numerous sieges. Located on King’s Island and bathed by the waters of the Shannon, it is an excellent example of medieval style. The fortress has five facades, with high walls surrounding a rectangular courtyard. Two large towers flank the main gate, and two more towers rise in the corners, from where the silhouette that the river the city skyline can be glimpsed. One of the best views in town that you cannot miss. Initially the castle was surrounded by a moat and drawbridge that today are not preserved. In the castles interpretive center you will be able to experience first hand the future of this famous fortress. In addition, you can attend performances that recreate how life and traditions were in the sixteenth century. Welcome to the castle!